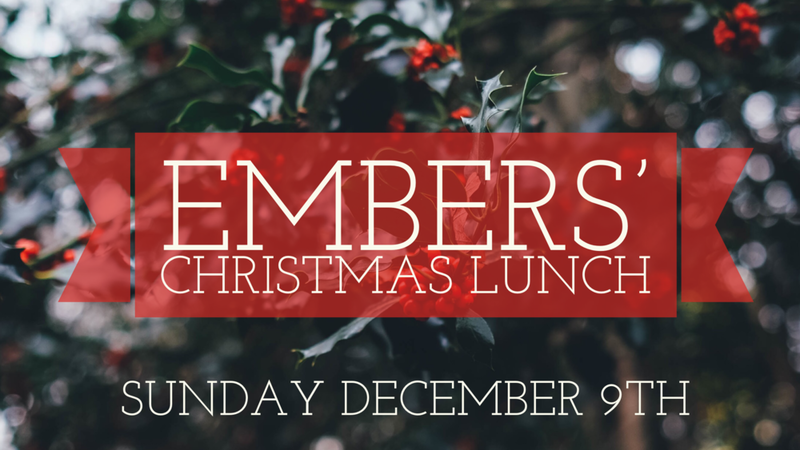 On Sunday, December 9th, at 12:30 pm, the Embers group will be gathering for a Christmas lunch celebration at Las Margaritas on 25th Street. Please bring a $5 white elephant gift so we can have some fun! Other games will happen as well!! Please RSVP — see Jerry or Molly Allen for details.